Our growth and leadership in the automotive aftermarket is built on providing quality service and quality parts. Whatever superior name brand or PartsMaster part or accessory you may need, we've got it. And, you'll find skilled personnel behind our counters to help you get the job done right. While we're proud of the value and parts availability that Auto Value and Bumper to Bumper stand for, we're equally proud of the men and women who serve your parts needs. Many of our counter personnel are certified ASE Automobile Parts Specialists. Their ASE patches of excellence let you know you're being served by the best in the business. Auto Value and Bumper to Bumper: the professional skills you count on, whenever you have an auto parts need. Each Auto Value or Bumper to Bumper parts store proudly participates in the North American Warranty guaranteeing they're offering the very best, defect free products available. We can save you money on millions of top quality auto parts and auto accessories. We have the largest selection of top quality auto parts at guaranteed lowest prices. 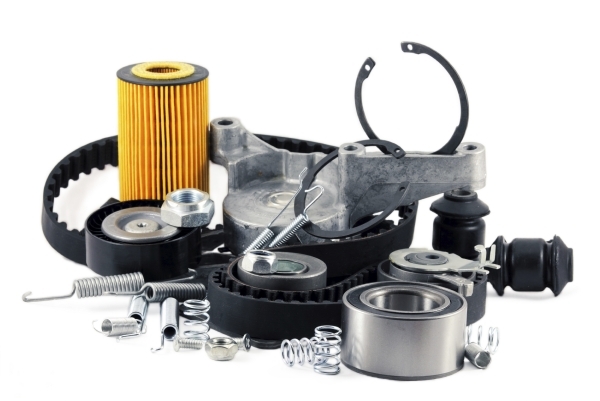 4M Auto Parts Warehouse knows parts, so when you need new OEM, rebuilt, aftermarket, performance, or replacement auto parts we have it available, in stock, and ready for immediate shipment. We also carry all the top brands of truck accessories and auto accessories to upgrade the appearance of your vehicle. Our multi-store buying power allows us to bring you the best prices on top quality parts and accessories. Our growth and leadership in the automotive aftermarket is built on providing quality service and quality parts. Whatever superior name brand or Parts Master® part or accessory you may need, we've got it. And, you'll find skilled personnel behind our counters to help you get the job done right. Since 1978, we have been supplying our customers with not only the auto parts they seek, but a level of customer service and commitment unmatched. And you don't have to be an auto dealer or auto repair facility to buy the auto parts you need. Stop by and see us and one of our friendly Parts Specialists will help you out. No matter the make or model, 4M Auto Parts Warehouse has the auto parts you need for any foreign or domestic car, truck or SUV. We're ready to help you with all of your automotive needs!